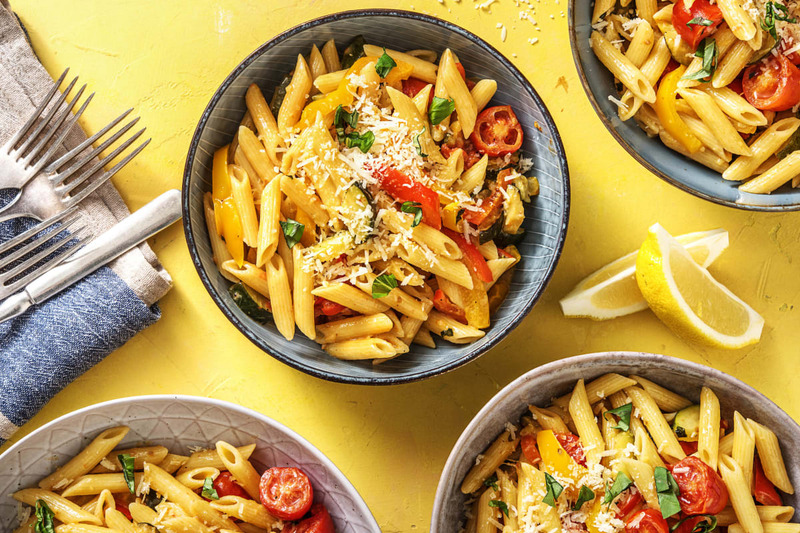 The delicious creaminess of crème fraîche makes it the perfect thing to use in pasta sauces like this one. 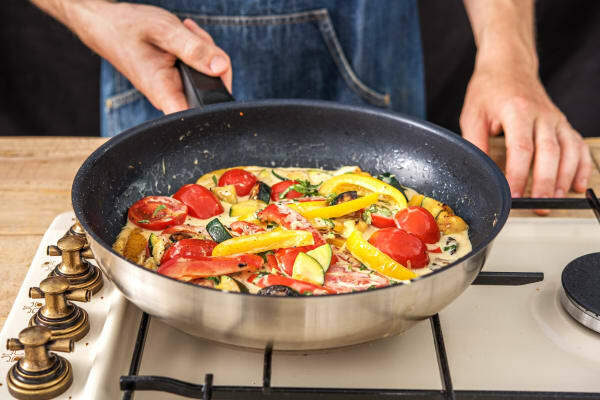 Chef Andre has used lemon zest and tarragon to lift the flavour or the sauce and stirred through peppers, courgette and fresh tomatoes for an added hit of goodness. Simple, quick, delicious. 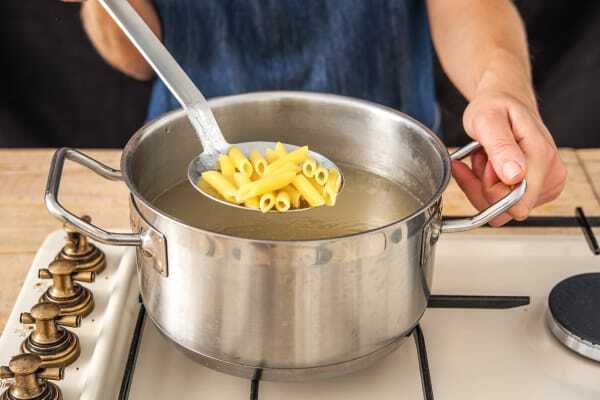 Put a large saucepan of water with a pinch of salt on to boil for the pasta. Meanwhile, halve, then remove the cores from the peppers and thinly slice. Trim the courgette, quarter lengthways then chop into 1cm chunks. Halve the plum tomatoes (or you can keep them whole if you like!). 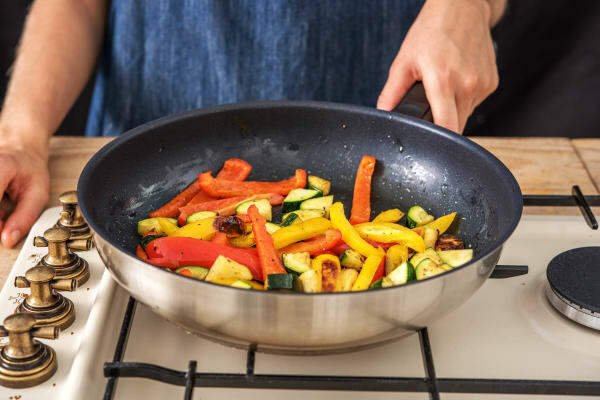 Meanwhile, heat a drizzle of oil in a large frying pan on medium heat. 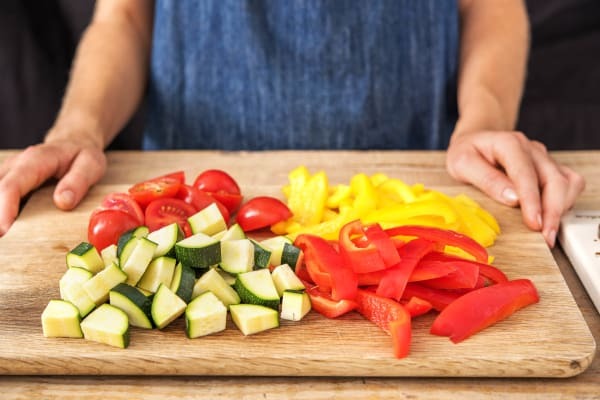 Add the peppers and courgette along with a pinch of salt and cook, stirring occasionally, until just softened, 8-10 mins. While the veggies are cooking, pick the tarragon leaves from their stalks and roughly chop (discard the stalks). Zest the lemon and cut into wedges. Once the veggies are soft, stir in the tomatoes, stock, half the tarragon, the lemon zest and the crème fraîche. Simmer for 2-3 mins. tTIP: If the sauce is a bit thick, add a splash of water (use the pasta water if it's still cooking!) Season to taste with salt and pepper if needed. 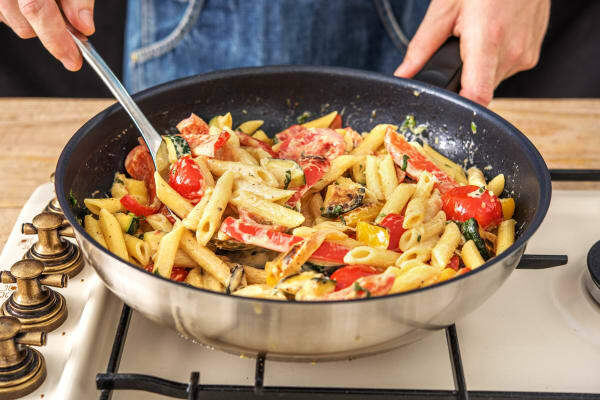 Toss the penne into the sauce and mix well to combine (or tip it all into the saucepan you used to cook the pasta - whichever is largest!). Season to taste with salt and pepper if needed. 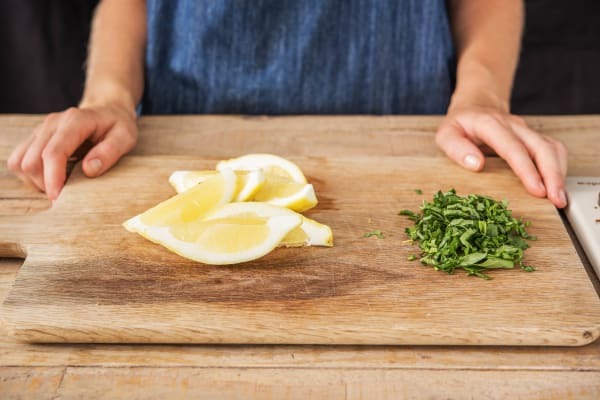 Serve in bowls topped with the remaining tarragon, a sprinkling of cheese and the lemon wedges on the side. Enjoy!